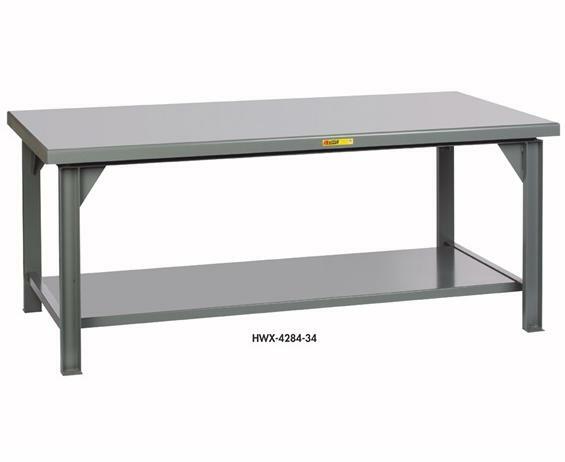 These all-welded, extra heavy-duty workbenches are designed for heavy-duty uses. 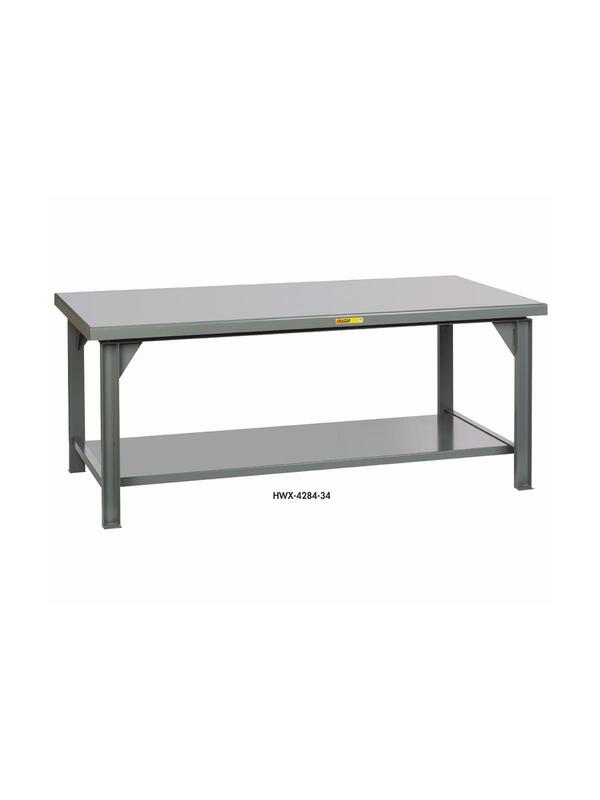 The workbench top is 7 gauge steel and is supported by a frame of 3" x 1-1/2" structural C channel. 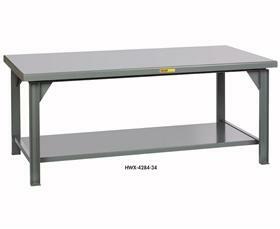 The legs are constructed from the 3" C channel and are welded to the top with 7 gauge gussets. 12 gauge lower shelf is 22" deep and holds 500 lbs. Foot pads with 5/8" diameter anchor holes. Clearance below the lower shelf is 5-1/2" to allow fork access. Top height is 34". Gray powder coated finish. FOB Shipping Point.